Recently media attention is more and more focused on the latest developments in virtual and augmented reality. The problem is that very few people actually realize the differences between those two rather distinct technologies. And they are very different, you can trust us on that. If you want to learn more about augmented and virtual reality, here are some basic concepts to get you started. Augmented Reality, or AR as it is often referred to, is a piece of technology that allows computer generated components to be added to already existing reality, thus enhancing the overall experience of the user. The user in question can easily distinguish between the real thing and the components added by the augmented reality. 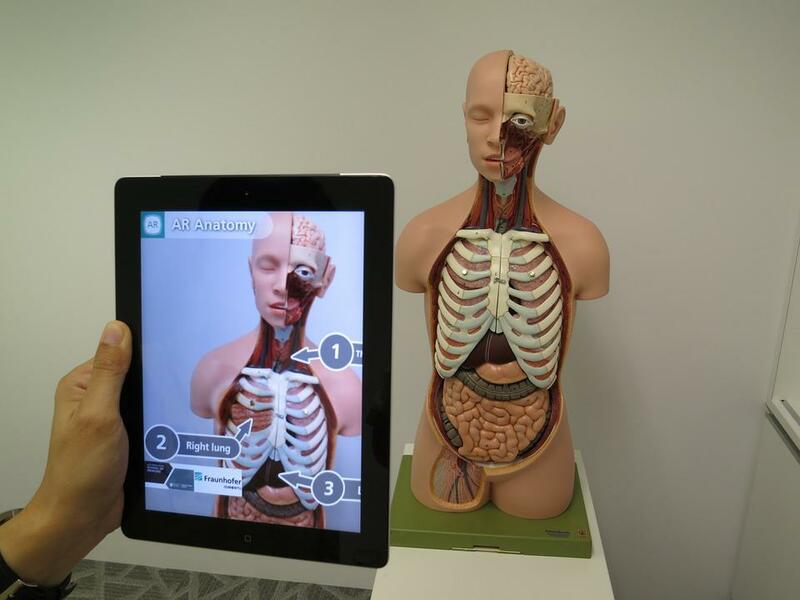 AR is built in apps on mobile devices and in recent years has more and more intuitive interface that makes it easier to apply by even people who do not have much experience with technology. In the past couple of years AR is becoming more and more popular with the general public. From popup 3D emails to displaying the score on telecast sports games, its applications are entering everyday life and are soon to be considered not a technology from the future, but rather part of the normal course of life. Much like Internet was 25 years ago, if you remember that time. 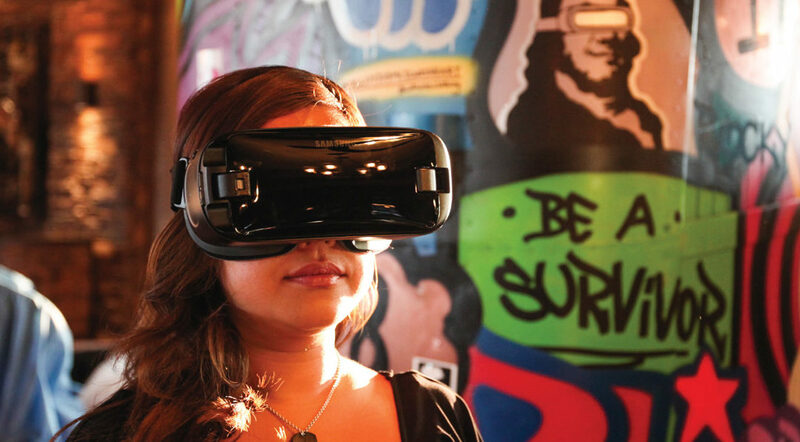 If you find yourself in Fishtown, Philadelphia and want to get a taste of all that Augmented Reality business, make sure to drop by Mad Rex, the only establishment with a virtual reality lounge in town. Virtual Reality on other hand is a computer generated recreation of actual environments or a simulation of something that does not exist in real life. The user is immersed into the VR world and the main goal is to create the illusion that they are experiencing the simulation firsthand, even stimulating their vision and hearing. In gaming, in order to enrich the overall experience of the game and make the person feel like they are within the fictional world of the game themselves. Flight simulators and other training facilities, thus giving the opportunity for the novice in the field to experience real life environments and situations without putting themselves or others in harm’s way. In order to create VR, one must be proficient with a programming language known as Virtual Reality Modeling Language, or VRML, which basically means to create series of images and specify the types of interactions that are possible with the images in question. In many respects virtual reality and augmented reality share basic principles and are easy to confuse by people who do not possess much knowledge in the matter. The main difference is that while Virtual Reality seeks to simulate or recreate something that does not exist in the environment surrounding the user, Augmented Reality’s purpose is to rather add up and enrich the said environment without radically changing it. While Virtual Reality creates its own reality, Augmented Reality is merely changing or enriching the already existing reality via images, graphics and other components. Is it necessary a competition? 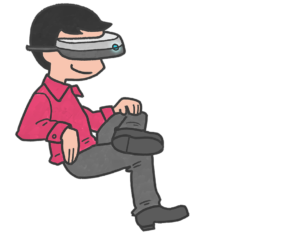 Even though it has become clear that there are inherent differences between AR and VR and there are things that only the former or the latter is good for, there are a lot of areas where the two actually overlap. It there is no necessity to actually put them against each other in all cases. The simple truth is that Virtual and Augmented realities can complement each other and enhance their respective effects on the environment and way of life of their potential users. One element that is commonly used in both technologies – and specialists actually do not always agree on the question what it actually is – is the so called haptic feedback. Basically it is a vibration created when the user interacts with a specific image. 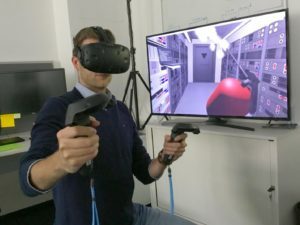 In its core, it is of course an augmentation of reality, but everyone who has ever played a video game with a VR headset knows how often the same haptic feedback is used in simulations as well. This is one of the most commonly cited examples in which AR actually builds on and make VR better. What we can all agree on however is that both Virtual Reality and Augmented Reality are the future of entertainment, of science, medicine and technology. We are certainly looking forward to seeing what the technology will offer to us all in the next few years – one thing is certain and that it is going to be great indeed.